Buying for the first time or replacing your old one? What happened to the old unit? Could it have lasted longer if you were more knowledgeable about the system? These well pressure tank reviews will try to be as comprehensive as possible, to cover the essential things you need to know. The best well pressure tank should offer these benefits. You may end up limiting these advantages if you choose the wrong size or volume capacity and many other things. There are three types: air-over water, diaphragm and bladder tanks. Air-over-water type – This is one of the older types. There is only chamber for water and air inside the tank. Possible mix-up between water and air is highly likely. When this takes place, air will dissolve into the water and air pressure will diminish. Diaphragm – A diaphragm separates water and air, but overtime, the diaphragm may detach from its connection allowing water and air to mix. Bladder – Instead of a diaphragm, a bladder is used. Using a bladder eliminates the dislodging that often happens with a diaphragm. Check for the capacity (this includes the volume of water it can hold and supply to the home). Check also for the size of the tank. Do you need fresh water all the time or do you prefer less energy consumption? With the first option, you can choose a smaller tank. For the second one, you would want to opt for a bigger tank. Ask yourself if you can install the tank yourself or if you’ll need help. There are simpler models which are very easy to install whilst there are those, particularly the larger ones that would require professional help. Does the new tank fit the pipes and inserts that are already in place? Check your pipe diameters. Do the seasons in your area matter for this purchase? Some places have less ground water or don’t get enough rainfall. This, of course, matters to how useful your tank is. Consider your area before deciding. Do a strict evaluation of the material used in making the tank, especially the body of it. You wouldn’t like to have air leaks. 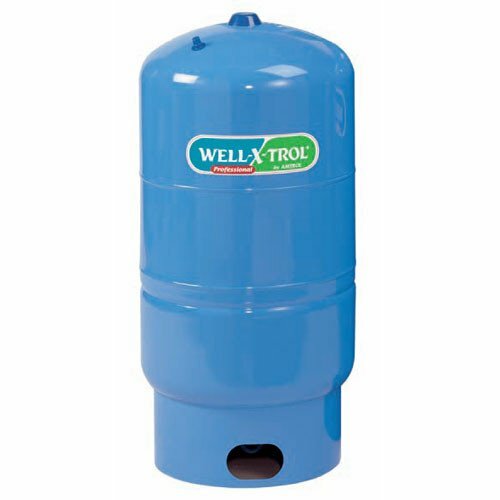 Moving on, here are some of the highest rated well pressure tanks currently available. Note details on pressure, volume, materials, origins, and so on. WX-202 is meant for residences. It doesn’t require much space to install it. This is one of the best tanks for both design and for the money. Shell is made of high quality steel. Inner liner uses virgin polypropylene. This material is corrosion resistant. There will be no peeling or chipping on the tank’s interior side wall. It uses a diaphragm that is secured by a ring seal. The air valve is made of stainless steel. It is not threaded like those of others. Instead, it is welded so that air pressure is kept at the desired amount. The dome uses high-grade steel for additional strength. Despite this, the weight is kept to a minimum. The tank is pre-pressurized (38 psi). (When setting it, always go below 2 psi of the cut-in pressure. Note the pressure prior to installation. The difference between cut-in and cut-out values should not be more than 20 psi). Diameter of the tank is 15.38 inches. Tank dimensions are 15 x 15 x 31 inches. Reliable material - The connector at the bottom where the tank screws in is made of hard metal, so there should be no worries about it working effectively through hot or winter days. Easy installation - The manual says installation should be handled by professionals but depending on your know-how, you can opt to do it yourself. Check your well’s pressure before installation. Leak-proof – Materials used are corrosion-free. This tank’s not prone to leaking and if used properly, you can go for a long time without needing to replace anything. Shells with dents - Product may arrive with dents, as some buyers experienced. This is beyond the manufacturer’s fault and for as long as it does not compromise the quality of the tank itself, small dents should be fine. This unit from WaterWorker complies well when it comes with US regulations. One of its strengths is its ability to prevent water contamination. It’s designed to meet standards. Check NSF and the ANSI regulations. Particularly, browse through Std 61 provision. It uses a diaphragm. The diaphragm has been engineered in such a way that it will flex when subjected to pressure. It means it will not stretch like a bladder does. The liner inside is made of polypropylene. The tank will not give any bad taste or odor to your water. The steel material used is twice as strong as the ones used in other tanks. The exterior finish protects the tank from harmful elements. The tank provides sufficient water reserve during emergencies. Dimensions are 15 x 15 x 32 inches. This tank is supported by a 5-year warranty. Strong materials - Liner is made of polypropylene. Diaphragm is made of butyl. You can be certain that the water is completely separated from air, there’s no corrosion happening inside, and bacterial growth is impossible. It doesn’t require air controls. Packing problems may be encountered. Some customers receive their tanks with dent issues. 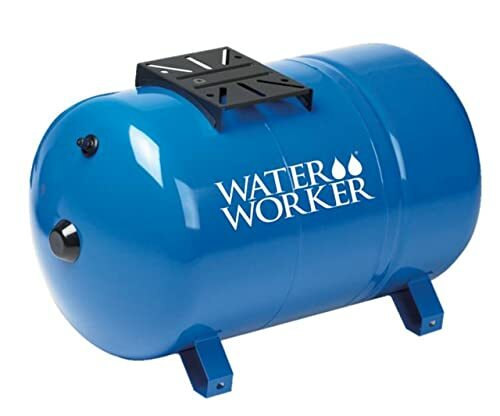 This is a horizontal tank from WaterWorker. The space requirement is different from that of a vertical tank. Its length is 30.5 inches and capacity is 20 gallons. This is definitely one good model for sale on the market. It has the seal of approval from both the ANSI and NSF. The liner will not chip or crack easily. Its diaphragm mechanism is also made of butyl. Stronger shell material. Twice the strength of other regular tanks. Its price is half that of more well-known brands. No water logging problem - This tank doesn’t have the water logging problems that tend to occur with galvanized tanks. Most new users of this tank often get worried when bits rubber sticks out of the threaded insert. This is the bladder sticking out, and is quite a normal occurrence. However, there are people who are bothered by the way it looks – a small detail which can make or break a purchase for some. You may also notice an external male hook up. Most tanks use the female type. Talk to your plumber if this is an issue. It would require a level surface to maintain balance. Some folks would need to work on leveling the area where it’s supposed to be kept in before installing the tank itself. This tank is a US-made product, and has a capacity of up to 20 gallons. It will come pressurized, so there’s a need to adjust the pressure before you begin using. When it comes to installation, it’s one of the easiest and most convenient. For this reason, it has been receiving high ratings. It uses a diaphragm for separating air and water. Heavy-gauge steel was used in constructing this tank. It has easy connections for cold water in case there’s a need. It meets the Standard 61 requirements. It’s easy to install. The pressure can be easily adjusted by pressing on a valve. It comes with a pump bracket to simplify installation. However, the seller may forget to include this so do send them a reminder upon ordering the item. The manufacturer also sells bladder replacements. There is no metal receiver for installing it with the existing pipes in your home. It appears that the threading at the bottom of the tank is not deep enough to prevent leaking. Some users used Teflon to stop water leakage. Nuts and bolts are not included. You will need to use those from your old tank or purchase new ones instead. Last but not the least is this 32 gallon vertical tank from the WaterWorker line. 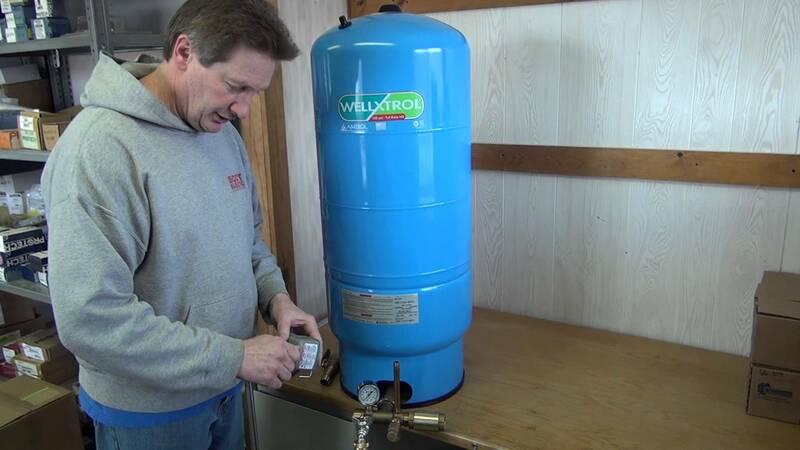 With this tank, you can set the pressure up to 100 psi if this meets the needs of your household. This tank is one of best rated in the industry. Item weight is 42.7 pounds. Length is 47 inches. Butyl diaphragm flexes instead of stretching when pressure is applied onto it. It is capable of holding a large volume of water, resulting to much lesser pump runs. This also efficiently reduces wear and tear on the pump itself. This is a pre-charged tank, preventing water logging problems from occurring. It has a huge drawdown. Product dimensions are 20.9 x 20.9 x 47. Huge drawdown maximizes energy saving and prolongs the life of the pump. 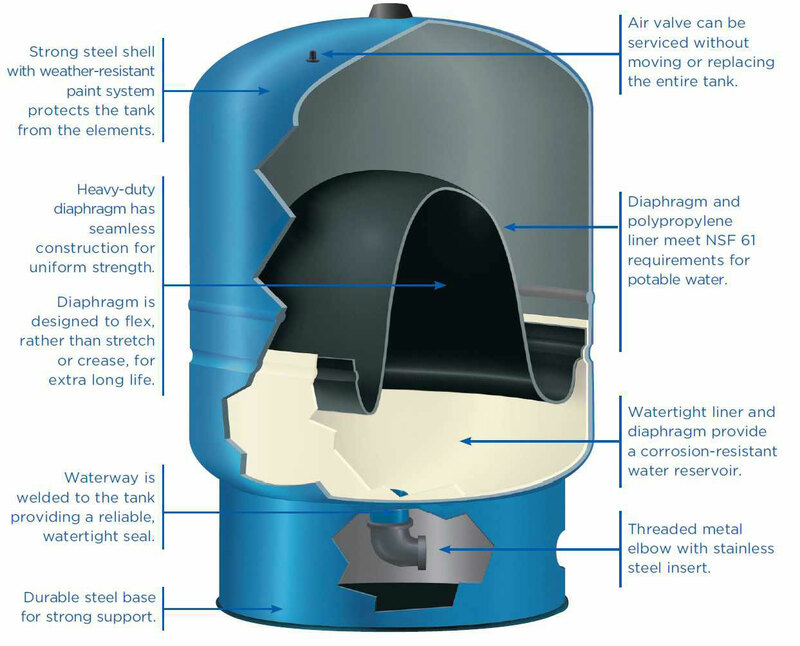 Diaphragm is made of strong and durable material. It means water logging will not easily occur and that air pressure is maintained at the right level. This is a vertical tank. Well pressure tank reviews say it can easily fit in smaller spaces (even though water volume capacity for this tank is high). Tank pressure can be easily regulated. You simply have to adjust the gauge. Materials used are corrosion-free and durable. It will last you a number of years before rusting or holes appear on the shell. Product may sometimes arrive with a damaged bottom, particularly the “lip” that it sits on. Warranty is not mentioned in seller’s page. You may need to check it with the manufacturer’s site or give them a call. Some of the most common concerns and questions people ask are about installation, troubleshooting and maintenance. Here are some of the basic things you need to know about these aspects of owning a water tank. 1. Can a vertical tank installed horizontally? It can be installed horizontally. However, there are risks to it. You can lose some of the tank’s capacity. Also, unequal pressure on the bladder or diaphragm can lead to early failure of this particular mechanism. 2. How do I determine which is the right size to buy? The tank’s size is an important consideration. Pressure tanks come in different sizes and you will have to choose one that is big enough for your needs. A tank that is too small needs will result to frequent pump runs. A pump that runs frequently will also have a shorter life. Before buying, ask the seller to help you assess your water usage, thus enabling you to find the proper tank size based on your needs. 3. Can well pressure tanks be used with city water? Yes, but you have to be careful as there are limits. For example, there is a certain limit of PSI for tanks depending on the brand and model and perhaps, size too. 4. What is drawdown? Does it matter in installation? No, it doesn’t. Drawdown is the amount of water that a tank can restore in a single cycle. It is an important factor to consider when choosing size or capacity. 5. I am installing a tank, but don’t know about cut-in pressure? What is it? Most systems have pressure gauges. If you have a pressure gauge on your existing set-up, just note the pressure it indicates when the pump starts running. That’s the cut-in pressure and the air pressure (on the water tank) should be set 2 psi lower than that. 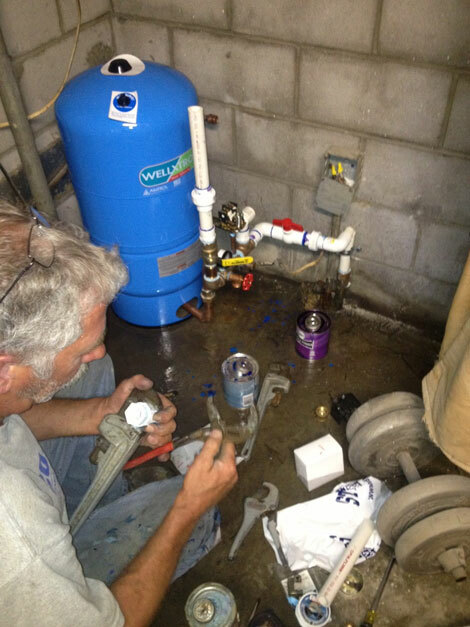 If the tank’s pressure is lower than the cut-in pressure, you will get low water supply to use at home. 6. How long do pressure tanks last? If properly maintained, they last up to 25 years, even more. However, their warranties only lasts for five years generally. 1. My tank is making loud noise. If the water pressure is surging and the tank is making noises, you should take note of the actual pressures at different times. Use the gauge. Check also for different municipal pressure readings. The tank itself will not cause high pressures. Set everything at the proper pressure. Specifically, check your manual for proper cut-in and cut-out pressures. Note that if there is no relief valve, your water system is unsafe. 2. The valve is leaking. The air valve is leaking. It is possible that the bladder inside is damaged. You may need to replace your tank if this is the case. If it is not the case, you can easily use a valve stem cap and screw that into the leaking part tightly to prevent water from seeping further. 3. Water is leaking (from top or bottom). Basically, involves the valve or loose fittings. You need to set the system with the proper pressure. Turn on the power to the tank and drain it. Some tanks don’t have a bladder, so just fill the tank with water again. If the leaks still happen, you may have to buy a valve stem. If your tank uses a bladder and it continues to leak after drain and refill, it can mean that the bladder has burst. In that case, there may be a need to replace the entire tank. 4. 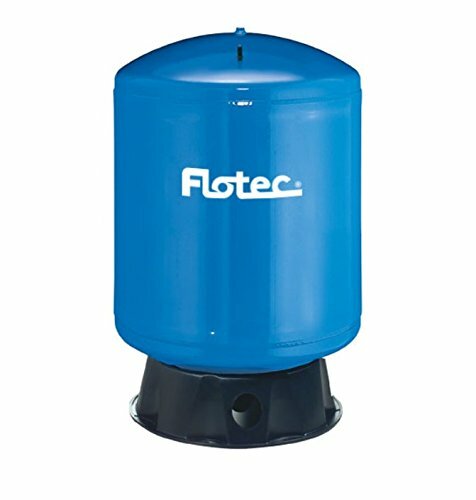 Water tank keeps clicking. This is same with noisy or humming tanks. Noise problems have different origins. Check if there’s enough water supply. It can also be a malfunctioning pump or there are small leaks in the pipeline. Make sure that you know where the noise is coming from. Proceed to troubleshoot. Adjust pressure settings too. 1. How do maintain and clean my tank? Annual inspection is necessary. If the tank comes with a warranty, say five years, the years indicated seems to be the limit of time that the tank will be in its best condition. If you want your unit to last longer, you will need regular servicing on it. Manually scrub off dirt, fungus, stains and sediments. Scrub from top to bottom. Use clean tools. You can use a sludge pump to clean the interior of the pump. You can also use an anti-bacterial spray to disinfect the system. Clean the interior and then fill it with water. Put spray solution to the water. Allow the water to flow into your pipes. For pipes running from the pump to the tank, you may need to call a serviceman to do the cleaning for you. 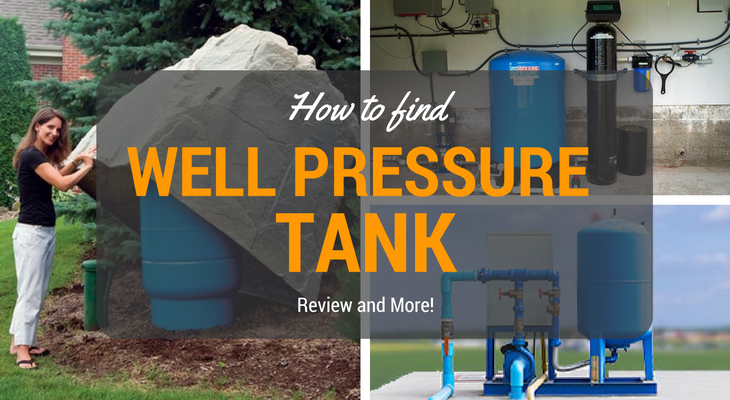 How do you choose the best well pressure tank to your home? It must be a tank that is efficient, durable and affordable. It must also meet your needs properly. Always check the materials used in the construction. The size is also important. Rule of thumb is: always go with larger tanks. They are economical too. It is also helpful if you maintain ae a good understanding of the water system in your home as well as your locale; this would allow you to choose the best tank to buy.